Positive or negative signs can be used to indicate the kind of influence, that is, the direction of causality. Positive signs enhance, negative signs reduce an effect. 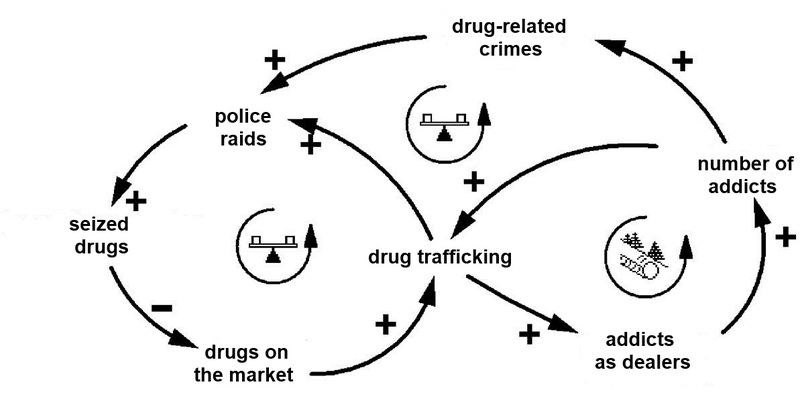 Causal loop diagrams are effective means to analize a system's behavior. 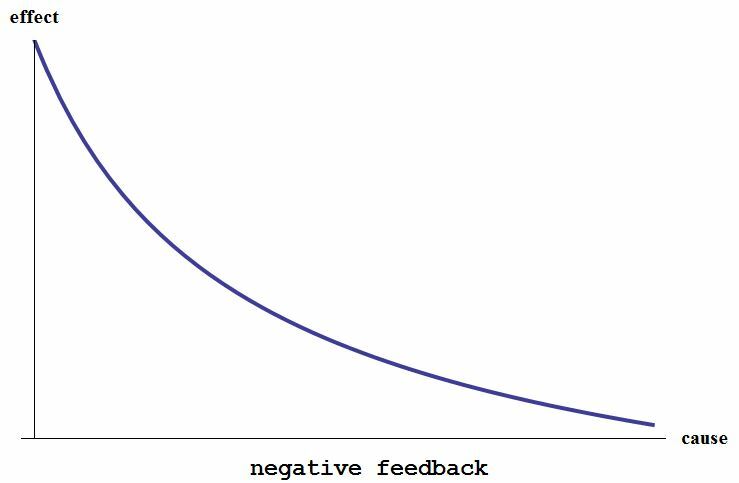 They can be used to get a first understanding of the consequences of positive (left graph below) or negative feedbacks (right graph below). 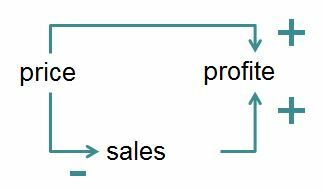 The overall dynamic of a loop with several sub-dynamics or sub-loops can be derived by counting the MINUSes in a loop. 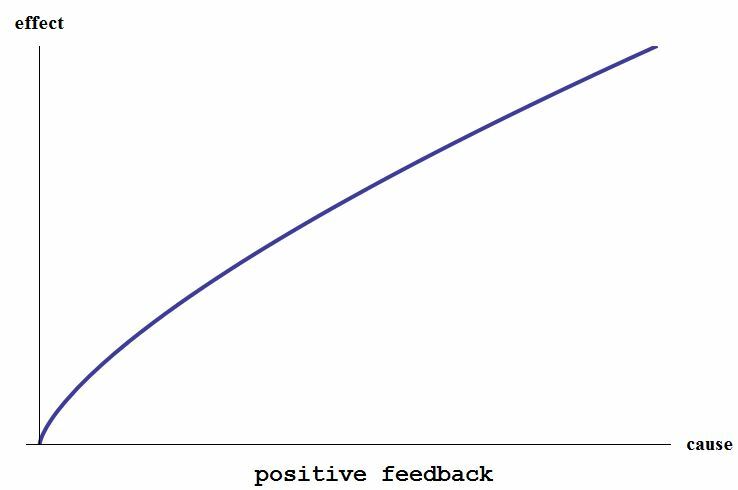 An even number of MINUSes indicates a positive feedback. An odd number of MINUSes indicates a negative feedback.